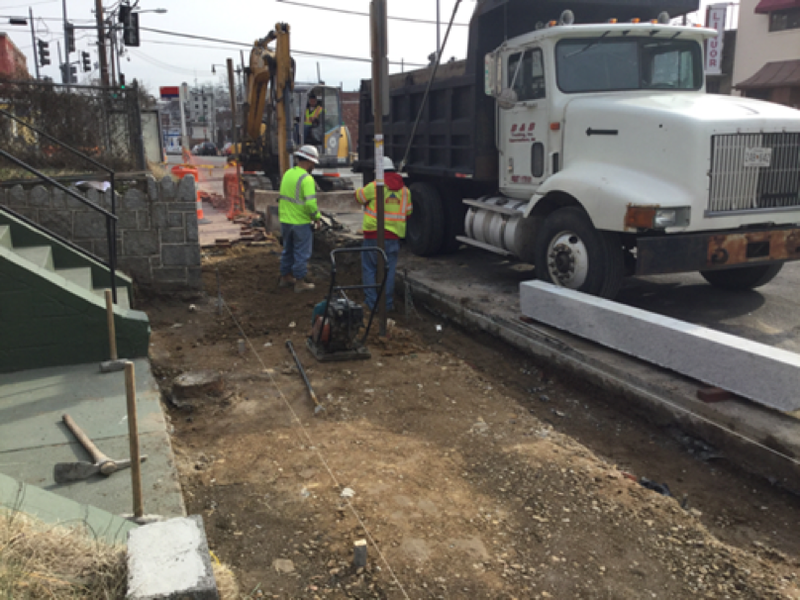 Contractor placing forms for ADA ramps and stairs leading to businesses. Capitol Paving of DC (the contractor) continued the work along the eastbound side of Kennedy Street NW; they also started the work on the westbound and eastbound along Kennedy Street between Georgia Ave NW and North Capitol Street NW. 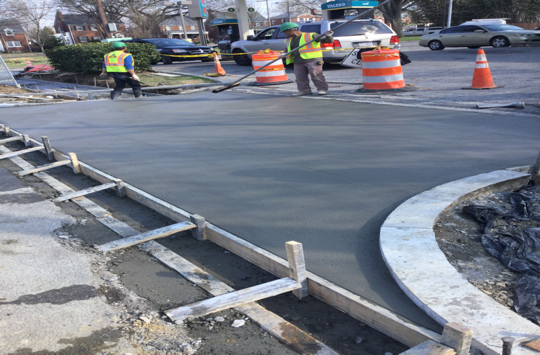 The contractor furnished and installed 124 feet of 8”x 12” granite straight curb, 82 feet 8x12 circular granite curb and 226 square feet of brick gutter. 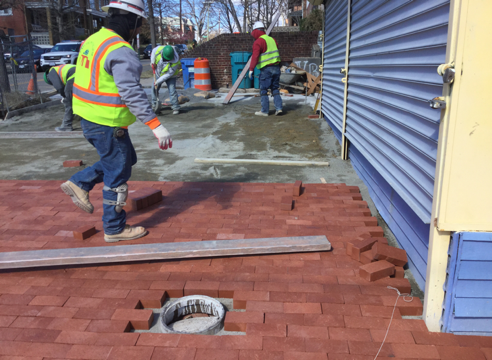 They also laid about 174 square feet of brick sidewalk on PCC base, poured 54 square yards of concrete for the sidewalks and about 27 cubic yard of PCC driveway alley entrance. 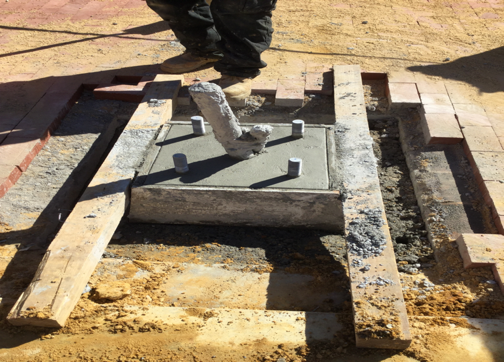 Lastly, the contractor installed three (3) 48” x 48” x 48” electrical manholes and poured three (3) B.C Street Light Foundation. Contractor finishing PCC curb from Sta. 141+94Lt to Sta. 141+97LT. Capitol Paving of DC (the contractor) continued the work along the eastbound side of Kennedy Street NW; they also started the work on the westbound and eastbound along Kennedy Street between Georgia Ave NW and North Capitol Street NW. 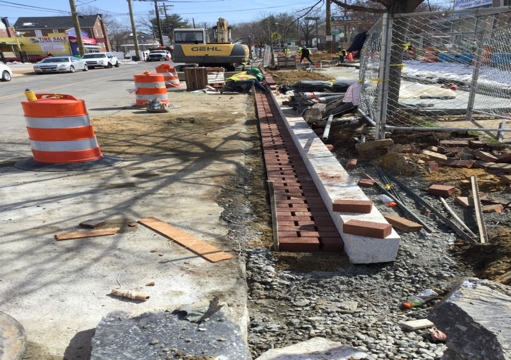 The contractor furnished and installed 109 feet of 8”x 12” granite straight curb and 175 square feet of brick gutter. 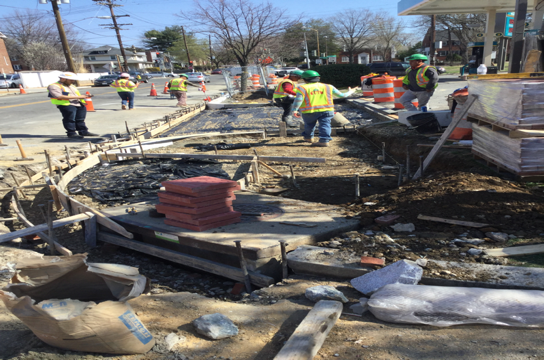 They also laid about 140 square yards of brick sidewalk on PCC base, poured 102 square yards of concrete for the sidewalks and about 48 cubic yard of PCC bus pads. In addition, the contractor also installed two (2) wheelchair ramps and three (3) ramp for building entrance. Lastly, the contractor supplied about 150 cubic yards of sandy base structural soil. On the other hand, the contractor removed 1 tree and installed 2 tree protections. Capitol Paving of DC (the contractor) continued the work along the eastbound side of Kennedy Street NW; they also started the work on the westbound and eastbound along Kennedy Street between Georgia Ave NW and North Capitol Street NW. The contractor furnished and installed 98 feet of 8”x 12” granite straight curb, 36 feet 8x12 circular granite curb and 275 square feet of brick gutter. They also laid about 128 square feet of brick sidewalk on PCC base, poured 96 square yards of concrete for the sidewalks and about 14 cubic yard of PCC driveway alley entrance. In addition, the contractor also installed one (1) wheelchair ramps and five (5) ramp for building entrance. 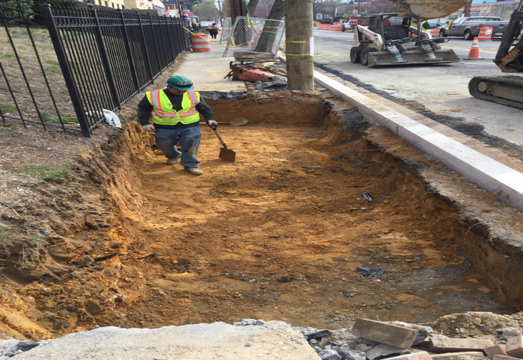 Lastly, the contractor supplied about 42 cubic yards of sandy base structural soil. 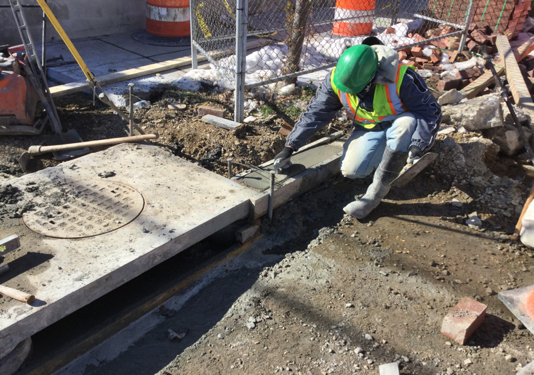 On the other hand, the sub-contractor Jaxson Point performed the electrical work by installing 91 feet of 6-4” 40 rigid conduits, 44 feet of 1-2” 40 rigid conduits and one (1) 48”X48”X48” electrical manhole. Placement of 15” PCC pipe Sta. 180+90RT to Sta. 181+25LT. Paving placed blanket over PCC base for brick sidewalk soon after finishing from Sta. 40+45LT to Sta. 40+66LT. 8x12” Granite straight curb installation from Sta.59+47LT to Sta.61+07LT. Capitol Paving of DC (the contractor) continued the work along the eastbound side of Kennedy Street NW; they also started the work on the westbound and eastbound along Kennedy Street between Georgia Ave NW and North Capitol Street NW. The contractor furnished and installed 378 feet of 8”x 12” granite straight curb, 40 feet 8x12 circular granite curb and 332 square feet of brick gutter. 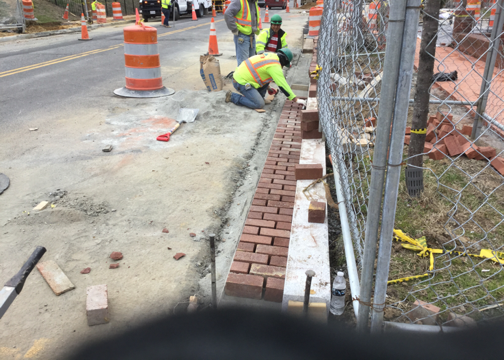 They also laid about 393 square feet of brick sidewalk on PCC base, poured 53 square yards of concrete for the sidewalks and about 15 cubic yard of PCC driveway alley entrance. 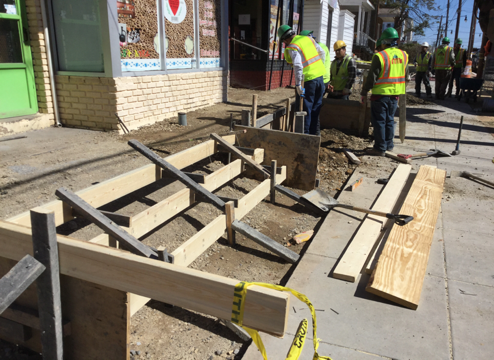 In addition, the contractor also installed two (2) wheelchair ramps. Lastly, the contractor supplied about 16 cubic yards of sandy base structural soil. On the other hand, the sub-contractor Jaxson Point performed the electrical work by installing 58 feet of 6-4” 40 rigid conduits, 69 feet of 1-2” 40 rigid conduits and 75 feet of 6-4” and 1-2” 40 rigid conduits.